Searching for Hungarian records? 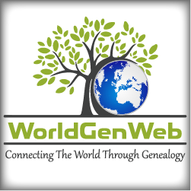 This landing page is a guide to Hungarian ancestry, family history, and genealogy: birth records, marriage records, death records, census records, family history, etc. The site of the Hungarian Society of Family History Research - Magyar Családtörténet-kutató Egyesület (MACSE) is in Hungarian but some sections are in English.